First Cindy McCain came under fire for wearing an outfit estimated to cost $313,100 on opening night of the Republican National Convention. Now, Page Six reports, Sarah Palin has taken a liking to designer duds (not to mention expensive eyewear--it was revealed today that Palin's glasses cost $400). 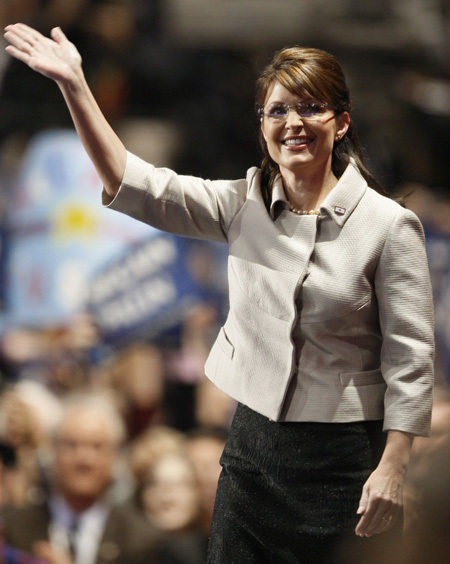 Insiders tell Page Six Palin has a secretive circle of stylists who dress her for events. For her big speech in St. Paul, where she accepted the GOP's vice-presidential nod, this fashion-conscious team encouraged the Alaska governor to splurge on a $2,500 jacket from Saks Fifth Avenue designed by Valentino Garavani. ....One source familiar with Palin's primping posse told us, "They do not want the American public to know that Palin is using stylists or that she is paying for expensive clothes this early on in the campaign." 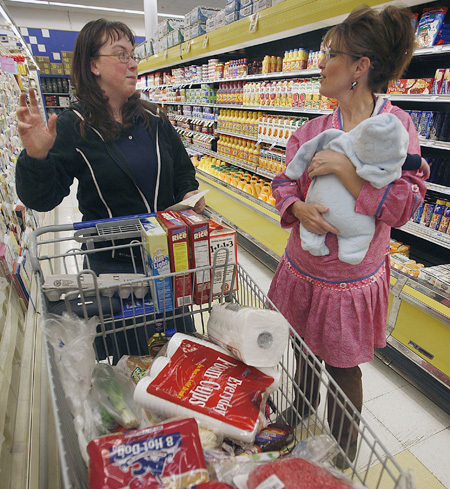 Palin chats it up at an Alaska grocery store in June. 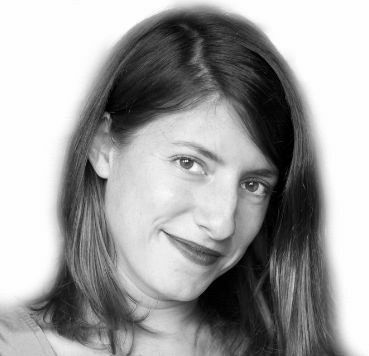 At the RNC wearing the shantung silk Valentino jacket in question.